According to the Online Trust Alliance’s 2016 report on Internal Revenue Service e-file sites, the IRS blocked over $8 billion in fraudulent tax returns in 2015. And between January 15 and February 15 of 2016, over 400 fraudulent tax-related domains were registered, meaning that a lot of users are likely to be scammed out of money before taxes are due. Before we get into the details of staying safe, it’s good to understand exactly how criminals are looking to take advantage of your electronically filed tax information. One of the most common ways is by changing the bank account information on a tax return to redirect the tax refund to the scammer’s bank account. Once it’s there, it’s going to be really hard to get the IRS to send another one to you. 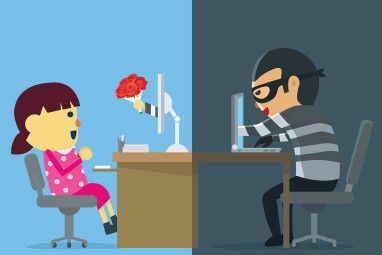 Another scam includes posing as a tax preparer to steal valuable personal information 3 Online Fraud Prevention Tips You Need To Know In 2014 3 Online Fraud Prevention Tips You Need To Know In 2014 Read More , which can then be used to access other accounts and steal or use money. The same information can often be gathered by an over-the-phone or email phishing scam How to Spot a Phishing Email How to Spot a Phishing Email Catching a phishing email is tough! Scammers pose as PayPal or Amazon, trying to steal your password and credit card information, are their deception is almost perfect. We show you how to spot the fraud. Read More in which the criminal pretends to be a member of the IRS. False tax preparers can also divert your tax return or require exorbitant fees while providing bad information. There’s a wide variety of ways in which scammers are looking to take advantage of you this tax season, so make sure that you keep these basic tax fraud prevention tips in mind. Every browser shows when you’re using an encrypted connection to a site, and it’s important to know what that sign is. Look for a padlock or another green symbol in the address bar and watch out for certificate warnings What Is a Website Security Certificate and Why Should You Care? What Is a Website Security Certificate and Why Should You Care? Read More , as they could be a sign that a site has been compromised. If you’re thinking about using an online e-file site The 6 Best Free Tax Software to File Your Tax Return This Year The 6 Best Free Tax Software to File Your Tax Return This Year If you're tired of paying to file your taxes, here are the best free tax software for filing your state and federal tax returns. Read More and it doesn’t seem to be encrypted, don’t use it. That’s a basic measure of security that shouldn’t be missed, and any good tax website will know this. It’s also a good idea to use extensions like HTTPS Everywhere Completely Secure: 11 Must-Have Firefox Addons For Security Completely Secure: 11 Must-Have Firefox Addons For Security Think about the browser you're using to view this article right now. Is it safe? Is it secure? You'd be surprised by those answers. Read More to make sure that you’re going to get an encrypted connection to a site if there’s one available. And if you really want to be secure, use a virtual private network (VPN) 8 Instances You Weren't Using a VPN but Should've Been: The VPN Checklist 8 Instances You Weren't Using a VPN but Should've Been: The VPN Checklist If you haven't already considered subscribing to a VPN to secure your privacy, now is the time. Read More to double-up on security. There are all sorts of warning signs in this email besides the fact that Her Majesty’s Revenue & Customs (HMRC) aren’t likely to contact a taxpayer by email. For example, the recipient’s name isn’t used even once, only the email address. There are a few spelling errors, which seems rather uncharacteristic of HMRC. And there are a number of formatting irregularities. It looks a bit like an HMRC site, but you’ll notice that there’s no padlock in the address bar, and the domain is www.garment8.com, which is definitely not affiliated with HMRC. Fortunately, Chrome warned me that this might be a malicious site and that it had been reported for phishing. 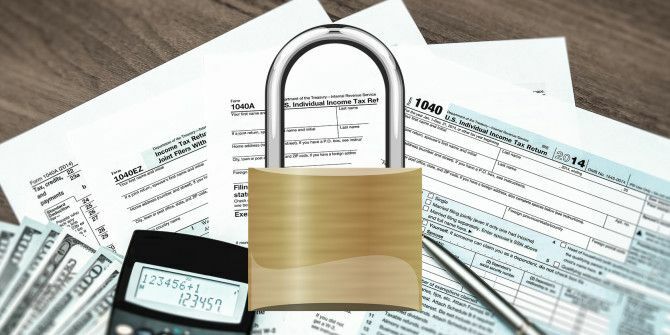 If you’re using a tax preparer instead of doing your own taxes, and your preparer asks you to share sensitive personal information, like your social security number, bank account information, or anything else that could be used in identity theft, ask why it’s needed and what measures are in place to protect it. A preparer who knows what he’s doing will be able to answer these questions quickly and easily, while a scammer will probably be caught off-guard. Make sure that they’re using industry-standard methods of encryption How Does Encryption Work, and Is It Really Safe? How Does Encryption Work, and Is It Really Safe? Read More and storage and that they delete that sort of information after a reasonable period of time. A lot of people are frustrated by their taxes, desperate to reduce their tax burden, or totally confused by the whole process, and there are companies out there looking to take advantage of these feelings. Fraudsters (and even shady legitimate companies) will often tell you that they know of loopholes or special exemptions that you can claim to save thousands on your taxes. And while there’s a possibility that you’ve missed some deduction or special exemption that could save you a lot of money, the chances are very low. It’s much more likely that you’re being fleeced. Figuring out your taxes is super complicated, but you’re going to have to pay — and the more you make, the more you pay (usually, anyway). So if it looks too good to be true, be very wary, as it probably is. During tax season, cyber criminals are on high alert for people sending personally identifying information in many forms, including over unencrypted Wi-Fi networks. So if you’re at Starbucks or Costa, don’t do your taxes. There are a lot of reasons you should be careful on public Wi-Fi 3 Dangers Of Logging On To Public Wi-Fi 3 Dangers Of Logging On To Public Wi-Fi You've heard that you shouldn't open PayPal, your bank account and possibly even your email while using public WiFi. But what are the actual risks? Read More , and this time of year it’s especially dangerous. Of course, sometimes you just need to get on the Internet in a public place, so you should be familiar with how to protect yourself. Using a VPN or SSH tunneling How To Combat WiFi Security Risks When Connecting To A Public Network How To Combat WiFi Security Risks When Connecting To A Public Network As many people now know, connecting to a public, unsecured wireless network can have serious risks. 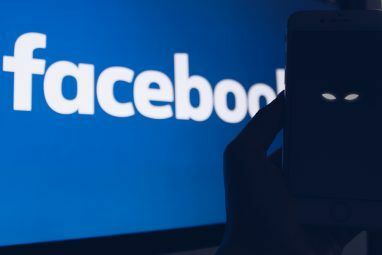 It’s known that doing this can provide an opening for all manner of data theft, particularly passwords and private... Read More , for example, can help secure your browsing (though you probably still shouldn’t do your taxes). 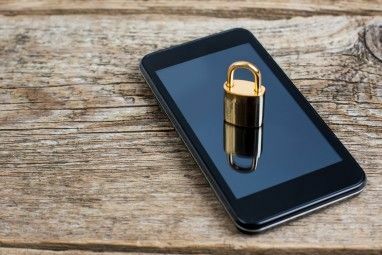 Remember that attackers could use your phone as a vector, as well, so use the same security measures when you connect your mobile to a Wi-Fi network. It’s not just fake tax preparer sites that you need to be aware of — as I mentioned, cyber criminals are on high alert during this time of year, so make sure that you’re following all of the basic tenets of personal security. Make sure your computer (even your desktop at home) has a password on it, and that your phone is protected by a code or pattern. We tell you all the time about how important it is to have strong passwords How to Generate Strong Passwords That Match Your Personality How to Generate Strong Passwords That Match Your Personality Without a strong password you could quickly find yourself on the receiving end of a cyber-crime. One way to create a memorable password could be to match it to your personality. Read More , and this isn’t advice you should ignore, especially right now. Use a password manager (and protect it Four Ways You Can Protect Your Password Manager From Malware Four Ways You Can Protect Your Password Manager From Malware Read More ) to set up strong passwords for all of your important sites (and your unimportant ones, too, just to be sure). Make sure your home network is secured How to Configure Your Router to Make Your Home Network Really Secure How to Configure Your Router to Make Your Home Network Really Secure Default router settings put your network at risk, allowing freeloading strangers to squeeze nadwidth and potentially commit crimes. Use our summary to configure your standard router settings to prevent unauthorized access to your network. Read More , too, while you’re at it. This is a tip that’s recommended by the IRS and the OTA, and it’s a really simple one. All you have to do is file your taxes as early as you can. Yes, it can be a huge pain to get everything figured out, but the less time that criminals have to ensnare you, the less likely you are to get caught by one of their schemes. We’re getting close to tax day in the US, but it’s likely that it’s already passed in some other countries, or that you have several months yet. No matter when you’ll be filing taxes next, keep this tip in mind! Taxes are complicated enough and take enough time already without having to worry about letting the tax authorities know that someone else filed under your name and stole your return, or that you were duped into claiming exemptions and deductions that you don’t really qualify for. Pay close attention this year to make sure you don’t become the victim of tax fraud to make sure it doesn’t get any more difficult! Do you prepare your own taxes, or have someone else prepare them for you? Have you considered the security implications of your choice? What do you do to mitigate the chances of identity theft? Share your thoughts in the comments below! Image credits: income tax return by RomanR via Shutterstock, iunewind via Shutterstock, Georgejmclittle via Shutterstock, Lemau Studio via Shutterstock. Explore more about: Identity Theft, Online Fraud. Thanks for the tip, and glad that you got it fixed! SSL is definitely a necessity for just about anything. I'e been filing online for the last four years. No mishap... yet. Programs such as TurboTax and TaxAct make doing personal taxes very easy. They hold the filer's hand all through the enyire process. All the filer needs to do is calmly read what is on the screen and provide the answers requested. I think the word "calmly" is the crux of the matter. Many people get an anxiety attack whenever the hear the word "TAXES!" What makes doing taxes hard for many people is the last minute scramble to gather together all the necessary documentation. (receipts, W-2s, bank statements, etc.) From what I've seen most people have those documents all over the house. I think "Taxes Are Difficult" is a myth perpetuated by tax professionals and tax filling services. There are two reasons I have always filed a paper return, 1) In the days before TurboTax, that was the only way you could file and it became a habit for me, 2) I do not trust the security of e-file. Also, with a paper return you can get a written confirmation when it received and by whom. You know, before I went into business for myself, I also thought taxes weren't nearly as hard as people made them out to be. :-) I've used TaxSlayer for the past couple years, and it definitely helps, but there are a lot of situations that you just can't program a site like that to be prepared for. Which is too bad. Regardless of whether they're easy or difficult, though, they stress people out, and it's important that even when they're stressed, people take the time to make sure they aren't setting themselves up for identity theft.